Gift giving for personal reasons are common, and many of us know the joys of giving and receiving in this way. But what about gifting in a corporate world? Corporate gifting is on the rise. Corporate gifts are something one should consider giving to top performers, valued employees, important clients, or administrative staff. Christmas and New Year is the time of year when many companies put a little something under the tree for their clients – a seasonal gesture of thanks for their services and loyalty in the past year. “A gift to a client is really a tangible way of expressing your gratitude for their involvement and assistance”. There may be number of corporate holiday gifts for clients or the employees, but chosing and gifting the best maybe a little bit difficult task. So, below, are some of the gifting ideas that any business or organization may opt. • Coffee Mugs- Customised gifting items are always welcomed. Customise it as per your choice, like, any motivational quote, picture, funky faces,etc. • Handmade Chocolates- These small gestures are always loved and appreciated. Handmade chocolates are never out of trend. People love chocolates, and gifting it is best, as, these may also be used by the families of the gift receiver. • Corporate Dairies- No matter what, dairies are something which is used by everyone. 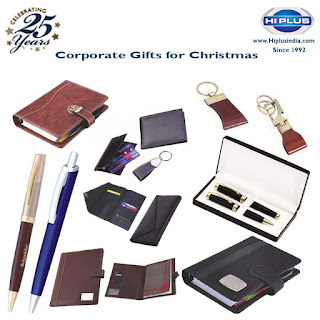 Some people have a habit of writing down the things and dairies for corporate gifting would be a best option to go for. • Paperweight- Looking for something that can look stylish? Go for a hand-made stylish paperweight, it can be a handy one to gift. • Calendar- Gifting Calendar for the coming year 2018 is a good one to go for. Get the stylish one with the space to write down important tasks. • Personalized Pens- Why won’t anyone love pens? Personalized pens and diaries are a classic one and many clients might appreciate a new pen with their name on it. • Gift Cards- Handwritten cards are never out of fashion. It may be a small luck note or a thank you note. Don’t make lengthy paragraphs, just a simple message and here you go. • Wallets- Variety of wallets is there in the market. Online purchasing is also in trend, and here you can get as per your choice. Ladies and gents wallets are also a good gifting item. • Customised Gifts- Customization is an art. Art is always appreciated with a Wow! Getting the gifts customised would be captivating. Customised goody bags, t-shirts, pens, coffee mugs, caps, and key chains are some of the options. • Caps- Caps with company’s logo is a classic one. Clients or employees would love to have something with the company’s name. • Fruit Baskets- A business gift basket is always a safe bet since it doesn’t cost much and everyone loves food. Get creative with the baskets you choose, or even try to make your own. There are many other choices also that the organization may chose. But above mentioned items are budget-friendly. Many expensive items are also being gifted, but company’s going on budget can chose from the above specified options. Clients and employees love these friendly gestures, and gifting deepens the relation of the organization and the clients. 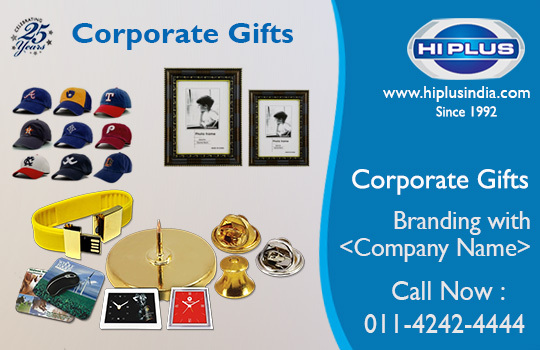 Corporate gifting also helps in the goodwill of the business or organization. So, with the festive season, treat your employees and clients with the best gifts.